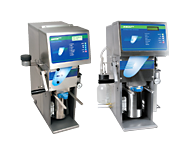 Before ordering an XT10/XT10I Extractor Vessel, contact [email protected] to confirm your instrument configuration. 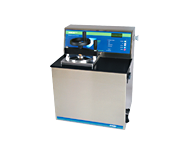 This PTFE washer is used to seal the brass solvent filter to prevent leaks. This is a replacement 10amp fuse for a 120v instrument. This is a replacement fuse for a 220v instrument. The TCH1 Julabo Chiller improves system operation and solvent recovery by maintaining optimum coolant temperature. The TCH1 chiller can be used with either the XT10 or the XT15. One Julabo Chiller can support up to two extractors at the same time. • 0° to 40°C process temperatures. 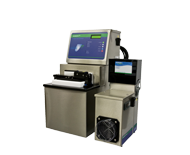 Click the link below to see the Chiller information sheet. The TCH2 Julabo Chiller improves system operation and solvent recovery by maintaining optimum coolant temperature. The TCH2 chiller can be used with either the XT10 or XT15 extractors. One Julabo Chiller can support up to two extractors at the same time. Use TCH3 if you need a 230v/60Hz product. The TCH3 Julabo Chiller improves system operation and solvent recovery by maintaining optimum coolant temperature. 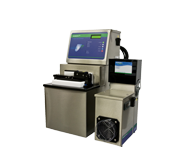 The TCH3 chiller can be used with either the XT10 or XT15 extractors. 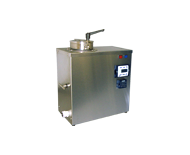 One Julabo Chiller can support up to two extractors at the same time. 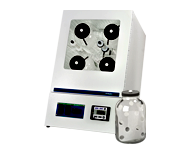 This Cup Insert Top seal should be used regardless of the solvent being run in the instrument. This O-Ring Kit includes an Extraction Vessel seal (part # 969.5) and a Cup Insert Top seal (part # 5806). 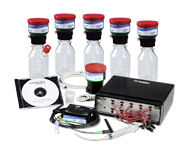 Use this kit when running Pet Ether in your instrument. This Extraction Vessel seal should be used when running high penetrating solvents like Diethyl Ether in your instrument. 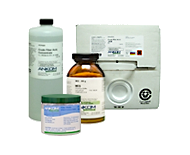 This Extraction Vessel seal should be used when running Pet Ether in your instrument. This piston is used for high penetrating solvents and is included in the X55 Kit (XT15/XT15I) and the X73 Kit (XT10/XT10I). Replacement piston with Viton seal for Burkert solenoid valve. This valve is used in A2000, A2000I, XT10, XT10I, XT15, XT15I, HCL, HCLI, TDF and TDFI. A2000/A2000I: Part 5678 is found in the Q6 Water Valve and Q7 Vent Valve; refer to Service Procedure AS016 for installation instructions. XT10/XT10I: Part 5678 is found in the Q1, Q2, Q3, Q5 and Q6 valves; refer to Service Procedure XTS005 for installation instructions. XT15/XT15I: Part 5678 is found in the Q1, Q2, Q3, Q4, Q5, Q6 and Q7 valves; refer to Service Procedure XTS005 for installation instructions. HCl: Part 5678 is found in the Q2 valve; refer to Service Procedure 004 for installation instructions. For non-DaisyII instruments: This is a replacement On/Off Power Switch. For the DaisyII Instrument: This is used for both heater and jar rotation motor. Refer to Service Procedure DS005. This gauge shows the amount of pressure within the Extraction Vessel during instrument operation. 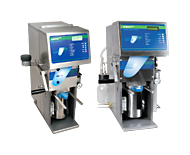 Operating pressure will vary depending on the solvent being used. This relay turns the heat on and off in a 120v instrument. Replacement locking Safety Valve Assembly for XT10 / XT10I and XT15 / XT15I. Refer to Service Procedure XTS004 for installation instructions. Used within the Extraction Vessel of an XT10 and an XT15, this assembly includes a Cup Insert and a Wave Spring Bag Holder. This is the internal computer that controls the XT10 Fat Extractor. 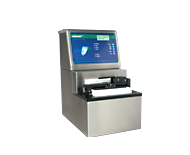 Mounted on the front of the instrument, this LCD screen displays temperature and time left during an extraction operation. This probe is used to measure the temperature within the Extraction Vessel of an XT10 and an XT15. This filter is used in the water supply line. This part holds the filter bags within the Cup Insert. 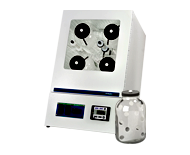 This special tray system desiccator is used for high fat samples requiring weigh tins. Wire brush for cleaning the bottom of the XT10/XT10I and XT15/XT15I vessel. If fat residues burn to the bottom of the vessel this tool when used with a drill will assist with cleaning. 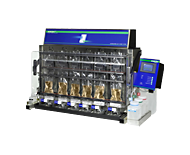 The X78 Flow Control Assembly is used to visually indicate that water is flowing through the reflux circuit during the reflux cycle. 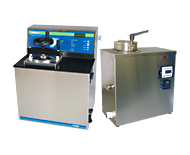 Once the solvent has reached extraction temperature, the reflux circuit will cycle on and off. When on, a red light on the control panel will illuminate, the reflux water valve will turn on, and a float in the Flow Control Assembly will rise to a level between 2-7 (we recommend a level of 4 or more if you are using a chiller water supply of 15C or less, or a level of 5 or more if you are using a lab water supply of 23C or less). When the reflux circuit is on, the control knob can be used to adjust the flow, but it is factory set and not normally adjusted. This O-Ring Kit includes parts that do not swell when contacting high penetrating solvents. This part is used for both XT15/XT15I and XT10/XT10I. This part is used for both XT10/XT10I and XT15/XT15I. This part is used for XT10/XT10I only. This kit includes replacement pistons for the two solvent valves (Q5 and Q6).